Samantha has worked for many years in leadership and operations positions. She worked directly with the MSD of Pike Township Assistant Superintendent, Beth Niedermeyer, and Director of Programs, Kathy Sharpe, to oversee and run numerous educational programs for the students of Pike Township. 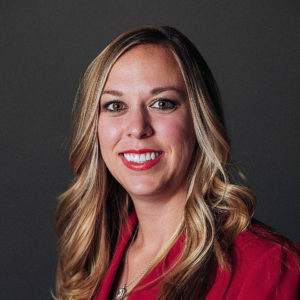 After some time, Amber Deckard, the Regional Director of Summer Advantage, a program Samantha ran for the district, offered Samantha a position with the company. Samantha became the Regional Operations Manager, working on a national level with a team including Earl Martin Phalen, a Harvard Law School graduate who founded Summer Advantage USA and George and Veronica Phalen Leadership Academies. During her time with Summer Advantage, Samantha was exposed to various opportunities that helped her to grow as a leader, a professional and a person. She used her decision-making skills to direct program operations ranging from employee hiring/terminating, to ensuring that budgets were maintained properly. Samantha took a small break from the high demand of the business world when she had her first child, but it wasn’t long before the desire to provide solutions and solve problems encouraged her to continue working. She finished her studies to acquire a degree in Business Administration, and she decided to take on the role of developing and organizing marketing strategies and execution for local and national businesses to become more well-rounded. In early 2017, she was offered a position at Eclipse Marketing & Advertising. After a short time, Samantha was promoted to Director of Operations. During the Eclipse & Sextons Creek merger of June 2018, Samantha retained her position and is currently working to help Sextons Creek operate more smoothly and efficiently.